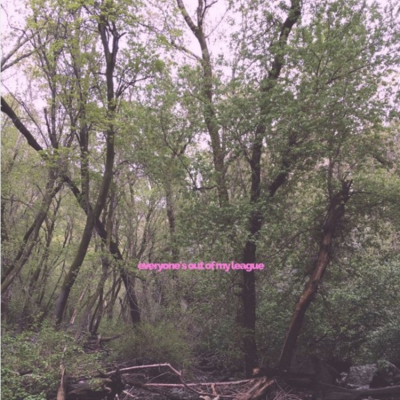 Everyone’s Out of My League is a short, introspective EP by feal, a talented and slightly reclusive Salt Lake City producer. The EP comprises a short four tracks that, according to feal, deal with depression and psychedelic experiences. As a whole, the EP is melodic, downtempo and peaceful. Each song sports simple beats and melodies that draw the listener in, creating a soundscape inside which one can get lost. The first track on the EP, “young,” starts with a Donnie Darko sample that is slightly pitch-bent and distorted. Donnie is being hypnotized, and he talks about meeting a girl. As the first thing that is heard on the album, the sound clip opens up a door for themes like love, angst and youth to be explored without vocals. feal continues the song with orchestral sounding synth chords and a melody that is repetitive and beautiful. Each instrument that feal uses is well mixed, the sign of a practiced and knowledgeable producer. The other three songs on the EP are just as strong as the first, but are stylistically slightly different. feal stays true to his downtempo, introspective style, but tracks like “it’s gonna get you” and “out of touch” are more spooky and have a witch-house vibe to them. The second song on the EP, “slow,” featuring fellow producer komodo vision, is probably the strongest on the album. feal and komodo vision use beautiful guitar riffs, which add the perfect amount of depth and variation to the track. The collaborators also add trap-style hi-hats and samples, which work perfectly when contrasted with the garage-y guitar chords.